The compact THETA V records up to 4K 360° spherical video and 12MP still photos. This kit adds the TA-1 3D Microphone, enabling you to capture truly immersive audio and video. Easily preview and playback footage on your smartphone with the THETA iOS/Android app, whether you're streaming live 4K 360° video or recording to the THETA V's 19GB internal memory. 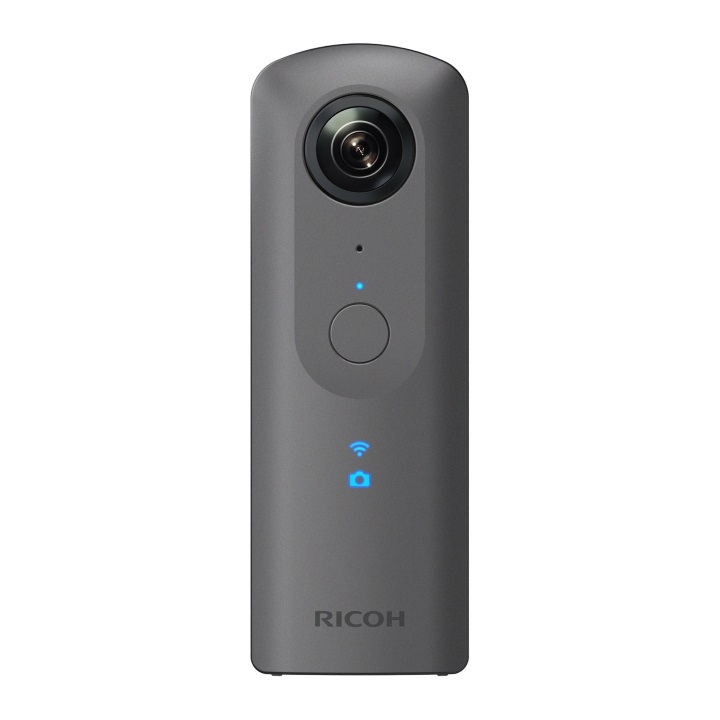 Building on the success of previous THETA models, the Ricoh THETA V is designed to provide you with an immersive 360° video and audio experience in a small form factor. Record with the camera pointing in one direction, and in the end, see and hear from all directions. The THETA V features two 12MP sensors and a twin-lens optical system that captures two wide-angle images and automatically stitches them into one complete spherical image. It allows you to capture comprehensive 360° 4K videos and 12MP photos, as well as live stream 360° footage in 4K. 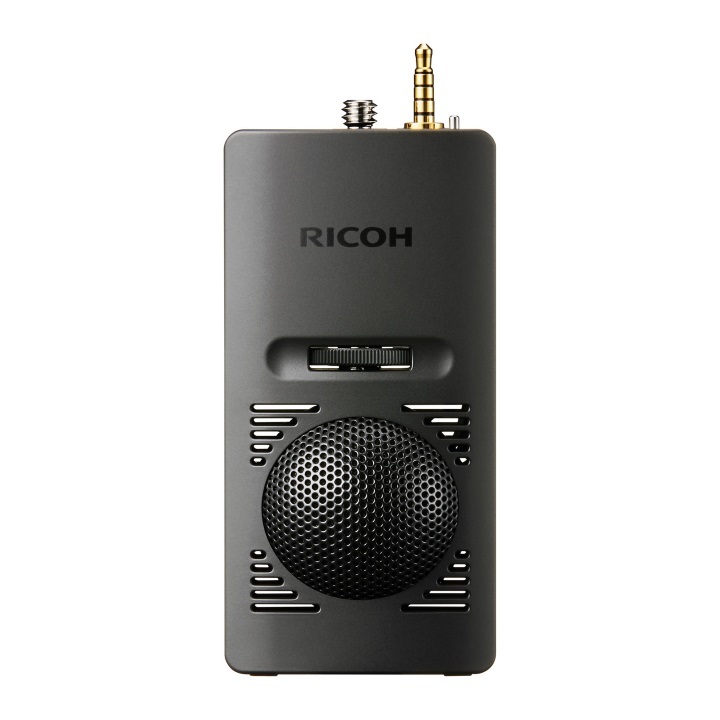 Additionally, a built-in 4-channel microphone captures high-quality audio from four directions and with seamless transitions between the channels. Moreover, an optional designated 3D microphone (TA-1) is supported that allows you to add 3D 360° spatial audio to your 360° video content. The THETA V records to approximately 19GB of internal memory. Once you've recorded your video, simply pull up the included THETA iOS/Android app on your smartphone or tablet, and with the swipe of your finger rotate the 360° image in any direction to see it from different angles. See what you missed while you were there. The THETA app also lets you preview your shots before you shoot, live stream to platforms such as YouTube Live, and perform a variety of other functions. The THETA V is designed to provide the combined 360° image with minimal stitching artifacts so that your images look more professional. The camera is very compact and can be kept in pretty much any pocket. An optional waterproof housing (TW-1) is also available that will let you take your THETA V up to 100 ft underwater, opening up another world of 360 possibilities. 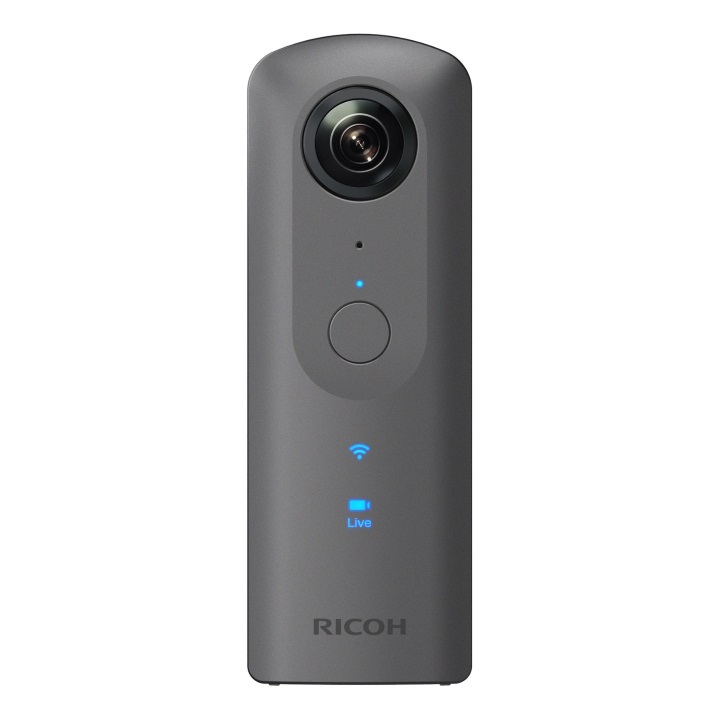 The Ricoh THETA V 360 camera features a built-in 4-channel microphone that provides high-quality audio with seamless transitions between the channels. 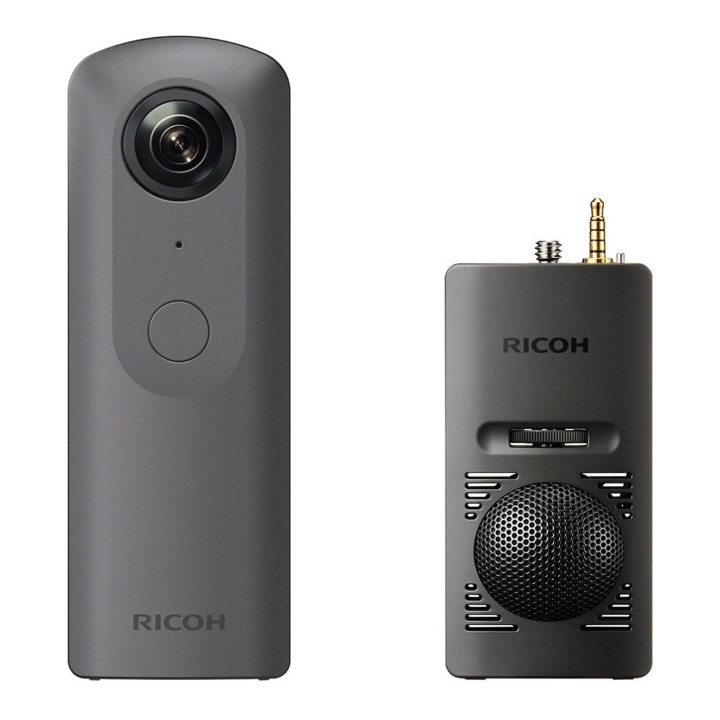 The dedicated Ricoh TA-1 3D Microphone for the THETA V further enhances the audio quality by enabling 360° 3D spatial audio capture with a wide frequency range. The TA-1 contributes immersive audio to go hand-in-hand with the THETA V's comprehensive 360 video. A windscreen is also included to highly reduce wind noise. The TA-1 was designed in cooperation with Audio-Technica.